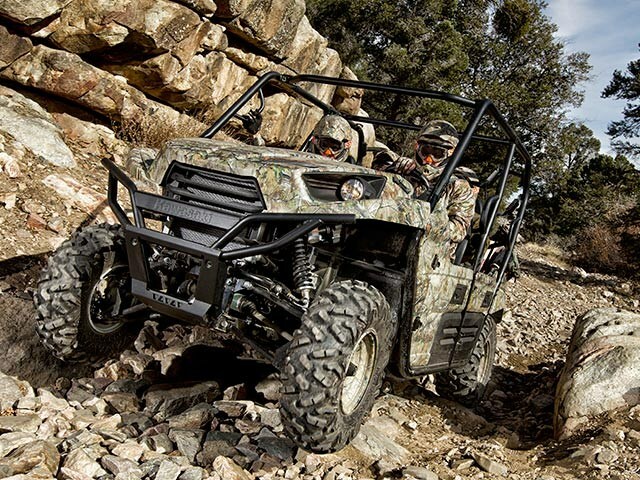 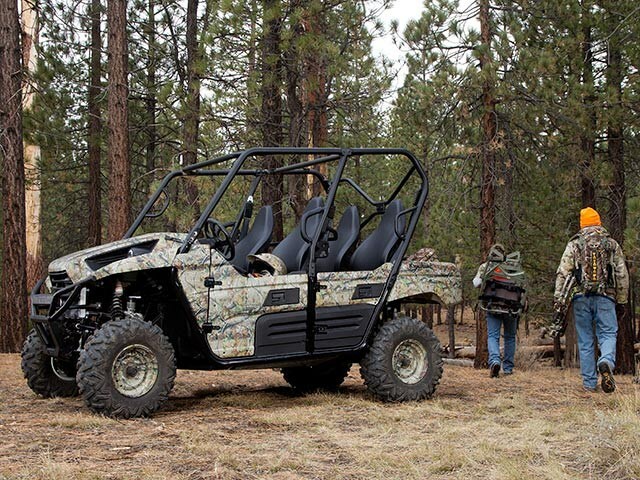 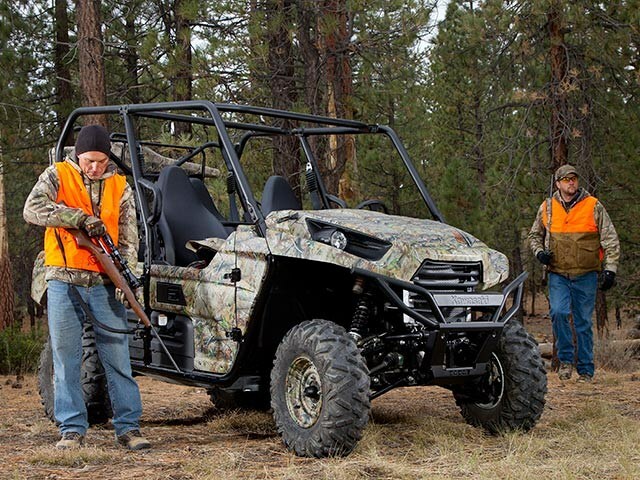 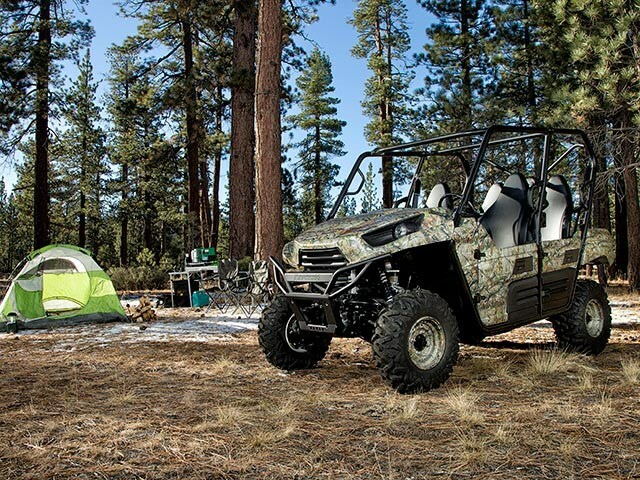 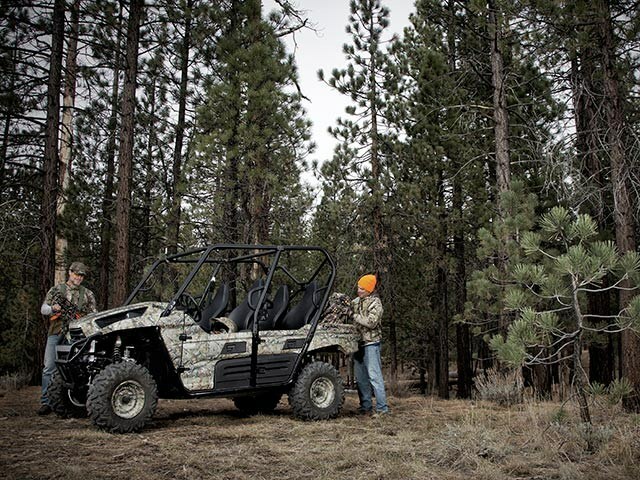 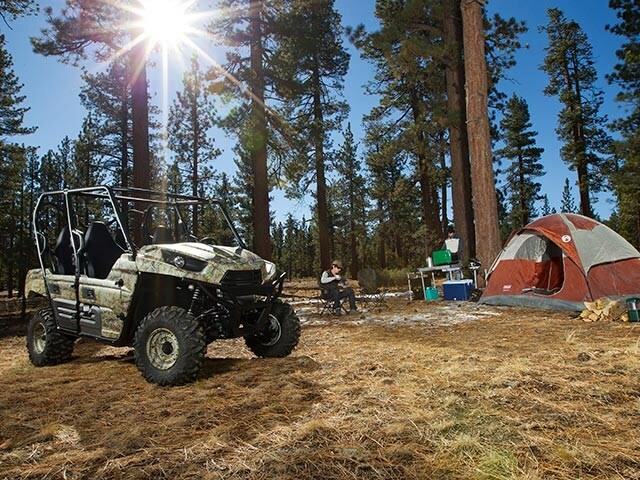 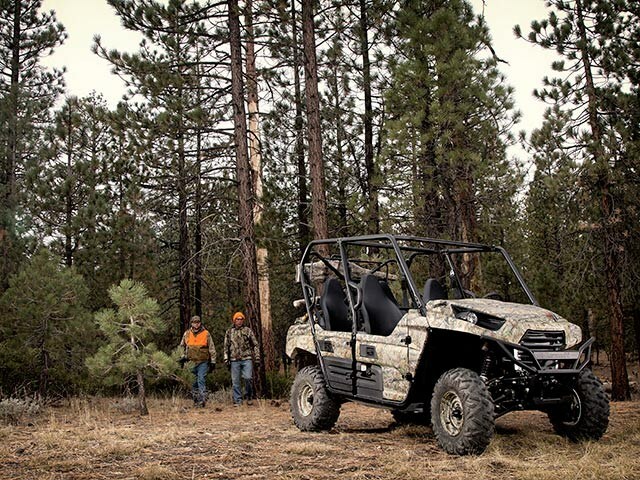 There are several choices in the four-seat camo side x side market, but none of them offer the strength of Kawasaki engineering coupled with the fun of a Teryx®, plus the convenience of electric power steering and the stealth of genuine Realtree® APG™ HD® camouflage. 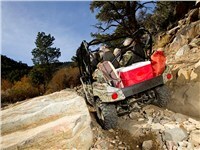 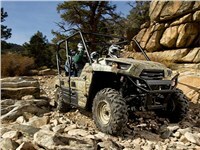 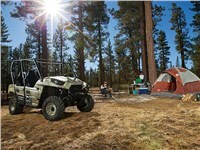 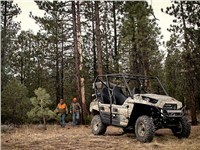 None, except the off-road rated Kawasaki Teryx4™ 750 4x4 EPS Camo! 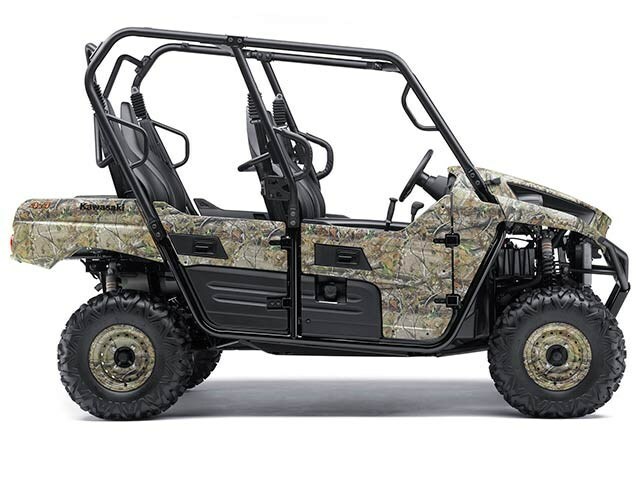 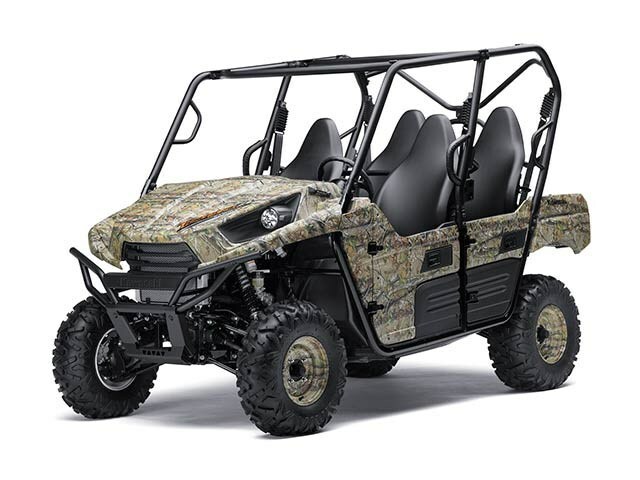 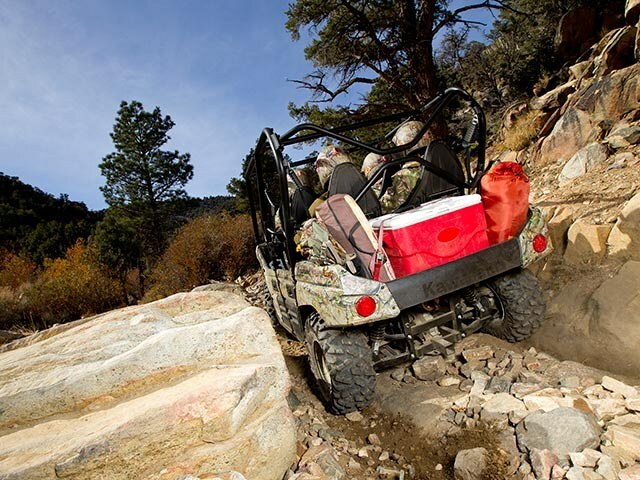 Its strong frame, torquey V-twin engine, and electric power steering make this durable Side x Side exceptionally fun and easy to drive, while additional camouflage on the door panels and wheels help maximize its outdoor style! 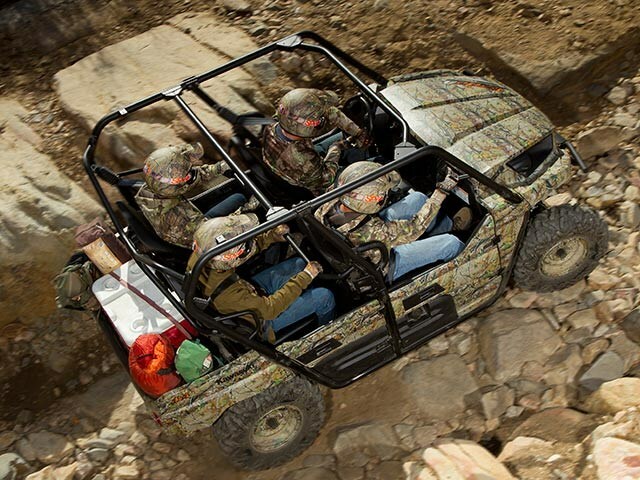 Roomy seating for four adults means twice the personal payload and twice the fun. Dual A-arm w/ preload-adjustable gas-charged shocks / 7.8 in. 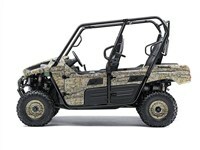 Adjustable Independent Rear Suspension (IRS) w/ fully adjustable, gas charged, reservoir shocks / 8.3 in.